When she's not digging up bones or other ancient objects, quirky, tart-tongued archaeologist Ruth Galloway lives happily alone in Norfolk. But when a child's bones are found on a desolate beach nearby, and Detective Chief Inspector Harry Nelson calls Galloway for help, Ruth finds herself in completely new territory - and in serious danger. When she's not digging up bones or other ancient objects, quirky, tart-tongued archaeologist Ruth Galloway lives happily alone in a remote area called Saltmarsh near Norfolk, land that was sacred to its Iron Age inhabitants - not quite earth, not quite sea. When a child's bones are found on a desolate beach nearby, Detective Chief Inspector Harry Nelson calls Galloway for help. 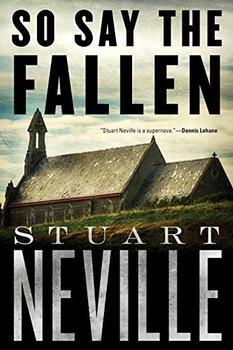 Nelson thinks he has found the remains of Lucy Downey, a little girl who went missing ten years ago. Since her disappearance he has been receiving bizarre letters about her, letters with references to ritual and sacrifice. The bones actually turn out to be two thousand years old, but Ruth is soon drawn into the Lucy Downey case and into the mind of the letter writer, who seems to have both archaeological knowledge and eerie psychic powers. Then another child goes missing and the hunt is on to find her. As the letter writer moves closer and the windswept Norfolk landscape exerts its power, Ruth finds herself in completely new territory - and in serious danger. The Crossing Places marks the beginning of a captivating new crime series featuring an irresistible heroine. Waking is like rising from the dead. The slow climb out of sleep, shapes appearing out of blackness, the alarm clock ringing like the last trump. Ruth flings out an arm and sends the alarm crashing to the floor, where it carries on ringing reproachfully. Groaning, she levers herself upright and pulls up the blind. Still dark. Its just not right, she tells herself, wincing as her feet touch the cold floorboards. Neolithic man would have gone to sleep when the sun set and woken when it rose. What makes us think this is the right way round? Falling asleep on the sofa during Newsnight, then dragging herself upstairs to lie sleepless over a Rebus book, listen to the World Service on the radio, count Iron Age burial sites to make herself sleep and now this; waking in the darkness feeling like death. It just wasnt right somehow. 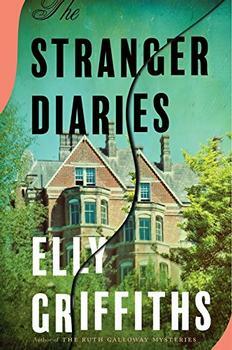 This first book in a new British mystery series already has lots of fans among our readers. All 17 of our First Impressions reviewers liked the book, and are looking forward to the next installment. What's not to love? Archeology, history, mysticism, mystery, suspense, a likable female lead character, the promise of a series, and a pleasing, low-key humor. An easy read, but with enough meat to be interesting (Juliet F)...Beneath the mystery plot, the book, as suggested by the title, delves into boundaries: emotional, professional, personal, ethical and, of course, physical. A final plot twist at the end hints at even more upheaval in books to come. I look forward to Ms. Griffiths's next book in the series (Carol C.) (Reviewed by BookBrowse First Impression Reviewers). With her brittle exterior and general distaste for human companionship, Ruth is a difficult heroine with whom to empathize, but the novel's archeological details and the unsettling denouement go far in making up for her prickly character. Starred Review. Griffiths's story is strong, well plotted, and suspenseful, leaving the reader eager for more adventures on the windswept Norfolk coast. Highly recommended. Starred Review. A winning debut. Aficionados may guess the killer early on, but the first-rate characters and chilling story are entrancing from start to finish. Starred Review. A knockout start for a series that should have broad appeal across the crime genre, from thriller fans to lovers of slightly edgy cozies. Griffiths' publishers clearly believe that they are on to a winner, already advertising this as the first in a series of Ruth Galloway novels. They might be right; her lead character is engagingly awkward enough to be perversely appealing, as several of the males around her seem unexpectedly to agree. She has also left Ruth in an interestingly inconvenient position for the follow-up. Norfolk is a largely rural county, located on the east coast of England, in an area known as East Anglia, about a 2 hour train ride from London. 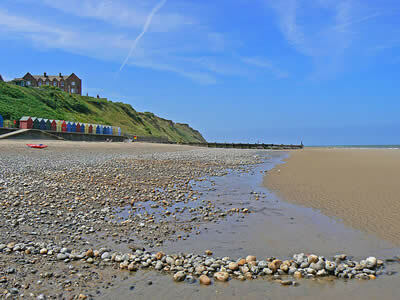 Its 43-mile coast along the North Sea is defined by a range of wide beaches, chalky cliffs, sand dunes, and salt marshes that house world-famous bird reserves. The area was designated an Area of Outstanding Natural Beauty (AONB) in 1968, with over 450 square kilometers (173 square miles) of undeveloped coastal landscape. The villages display a mixture of Victorian and Edwardian architecture, and over 650 medieval churches remain throughout Norfolk county. An apparent suicide exposes a deadly secret in the suburbs of Belfast.